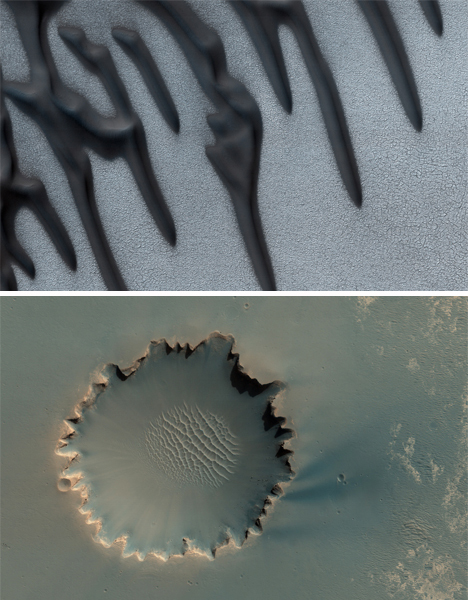 The landscapes of other planets have long been the source of fantasies and speculation, but in the last few decades we’ve finally been able to get a close-up view of the surfaces of alien worlds. 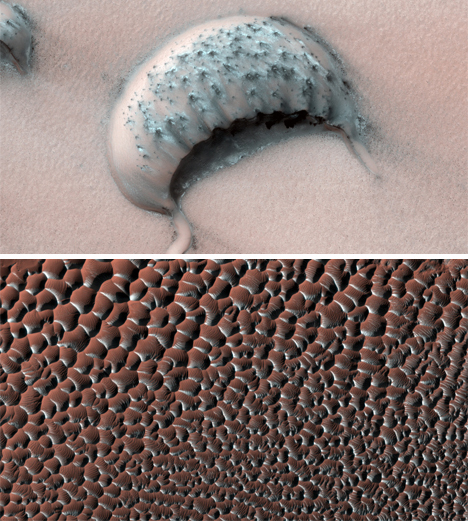 NASA’s Mars Reconnaissance Orbiter (MRO) has been orbiting Mars since 2006, and on board is the High Resolution Imaging Science Experiment camera, or HiRISE. It takes photographs of the fascinating landscape of Mars, which looks at once barren, alien, alive and strangely familiar. HiRISE is a project that was about two decades in the making. In the 1980s Alan Delamere of Ball Aerospace started planning out how to go about making the type of high-resolution imaging needed to produce high-quality images of Mars. By 2001 he’d joined forces with Alfred McEwen of the University of Arizona to pitch their camera for use on the MRO. NASA agreed and plans were set in motion to build the camera and integrate it into the spacecraft. HiRISE was delivered to NASA on December 6, 2004 and launched on board the MRO on August 12, 2005. On the way to Mars, the high-tech space camera took calibration pictures of the moon and other objects. 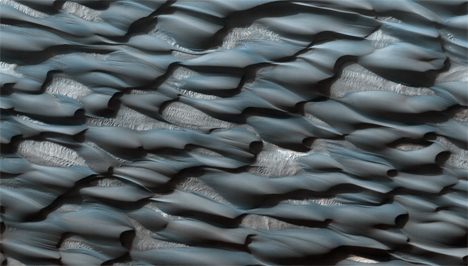 But nothing was quite as stunning as the high-resolution Mars surface pictures it captured beginning in September 2006. 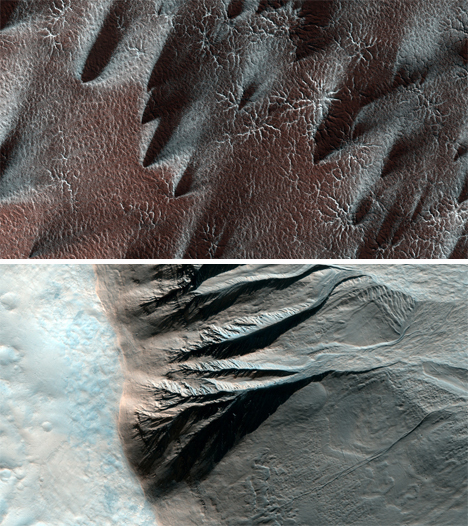 The pictures from HiRISE are more detailed than we’ve ever seen, and more accessible to the public than any before. Eventually, the general public will be able to request pictures of specific areas of Mars from HiRISE, which is unprecedented. Because of its accessibility and the idea that it is for the good of everyone, HiRISE has been dubbed by some “The People’s Camera.” The University of Arizona shares new images as soon as they’re processed here. See more in Space & Time or under Science. November, 2009.